For the second time in 80 years, more than 2 million chinook, sockeye, coho and steelhead returned to tribal fishing and ceded areas above Bonneville Dam. Fall chinook contributed nearly half the total. (The returns include adults and jacks.) 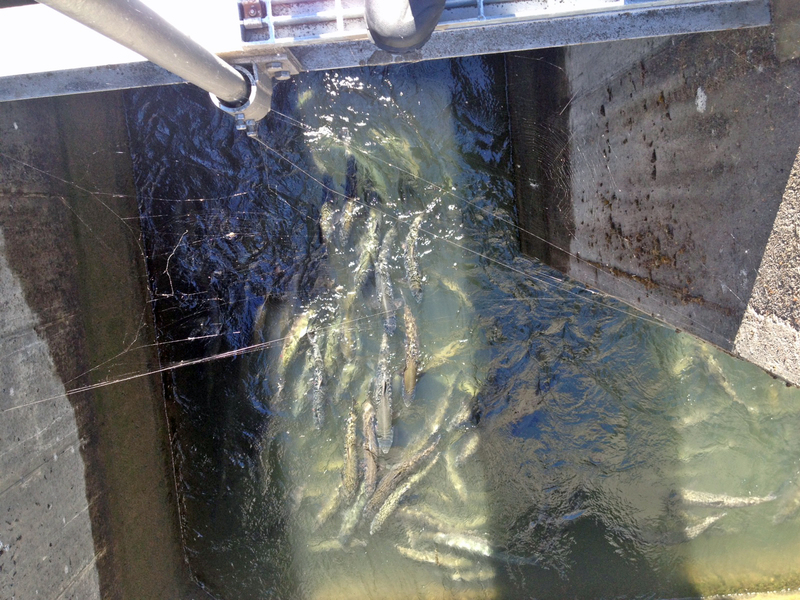 Fall chinook over Bonneville came to 1,037,000 fish, while the Snake fall chinook count was 70,800 fish. Both are records. The sockeye returns started out strong with 510,700 fish passing Bonneville only to have complications from hot water temperatures kill about half of them. Coho and summer steelhead supplied 42,200 and 365,300 fish, respectively—bringing the 2015 upriver salmon and steelhead returns to nearly 2.3 million! As many as 200,000 adult sockeye, steelhead and summer chinook died this summer because of elevated water temperatures. Extremely low snowfall levels the previous winter followed by high summer air temperatures—the results of a changing climate—caused the spike in river temperatures. Redds and migrating juvenile were also likely affected. CRITFC representatives met with Colonel Jose Aguilar in December and told him they supported the U.S. Army Corps’ decision to significantly reduce double-crested cormorant numbers on East Sand Island in the Columbia River estuary. 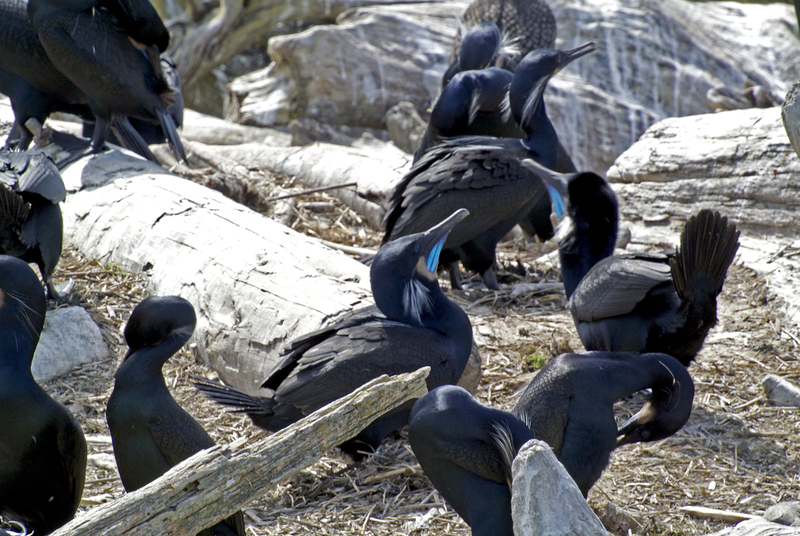 The cormorants ate more than 74 million juvenile salmon and steelhead between 2010 and 2013. The tribes also want bird predators controlled at Corps dams further upstream, particularly at John Day and The Dalles dams where gulls from Miller Rocks, near the Deschutes River are consuming migrating juvenile fish. The CRITFC tribes recommend using lethal control to lessen bird predation, noting that this year the Corps’ Walla Walla District successfully reduced the number of birds feeding on salmon and steelhead smolts at its Snake River projects. Double-crested cormorants, gulls and Caspian terns are major predators of young fish. Federal Judge Michael Simon is expected to make a ruling by spring 2016 on an Audubon Society lawsuit opposed to killing the predator birds. Three CRITFC member tribes filed responses to Audubon’s filing. Columbia River Indian Fishers Expo, held July 24 in Hood River. Almost 100 tribal members attended the event. The Expo covered coldwater survival, boat safety and repair, quality food handling, fish processing, marketing, and retirement planning for the self-employed. 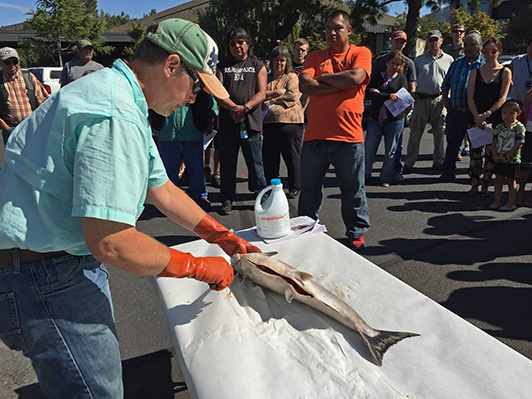 Fishers also attended Q & A sessions with tribal fish and wildlife committees. 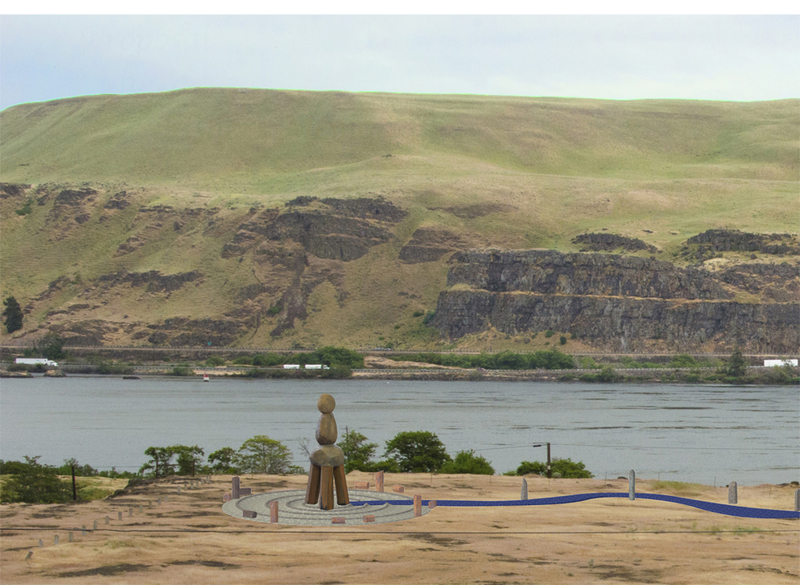 An important issue discussed this year on the U.S. side of the bilateral Columbia River Treaty process was the need to review flood risk management. The tribes want to enhance ecosystem function for fish and wildlife and to protect cultural resources in a way that minimizes the risk of damaging floods. 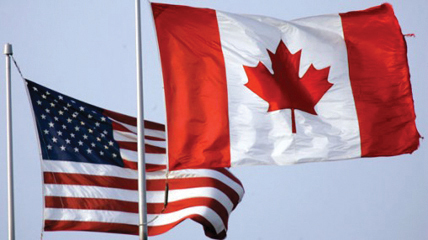 Under the current treaty with Canada, flood management provisions would not protect against floods like the region saw in 1948 and 1894 or the country saw during the Sandy Hook and Katrina storms. 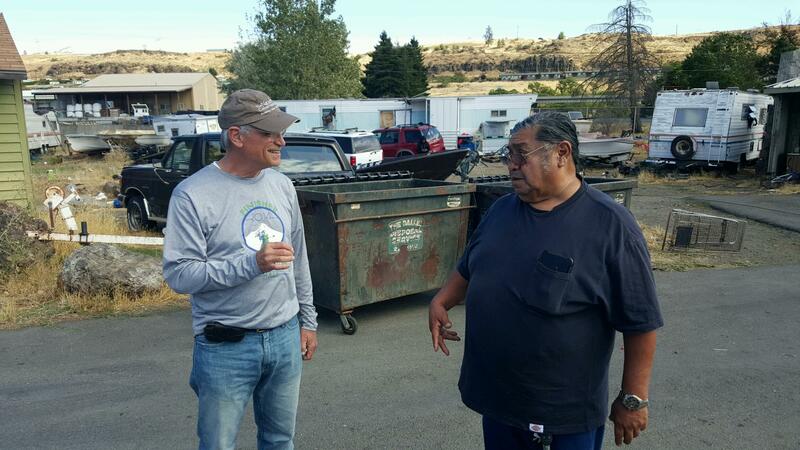 U.S. Representative Earl Blumenauer met CRITFC leaders at the Lone Pine In-lieu Site to discuss housing and public safety issues at fishing sites along the Columbia River. The Commission and the Army Corps’ Col. Jose Aguilar met several times in 2015 covering numerous topics of mutual concern from the Columbia River housing to lamprey passage. BIA Regional Director Stan Speaks also visited the Commission on more than one occasion to discuss upkeep at the fishing access sites, among other topics. When Portland Mayor Charlie Hales talked with the CRITFC Commission, he summarized his initiatives to address climate change and reiterated his opposition to fossil fuel transport and storage. Bill Williams, Acting U.S. Attorney for Oregon, Mike Ormsby, U.S. Attorney, Eastern District of Washington, and Tim Simmons, Assistant U.S. Attorney for Oregon, met to discuss law enforcement issues along the Columbia. Columbia River Gorge Commission’s new Executive Director Krystyna Wolniakowski addressed the CRITFC Commission proposing to re-engage with the tribes particularly in light of upcoming revisions to its management plan. 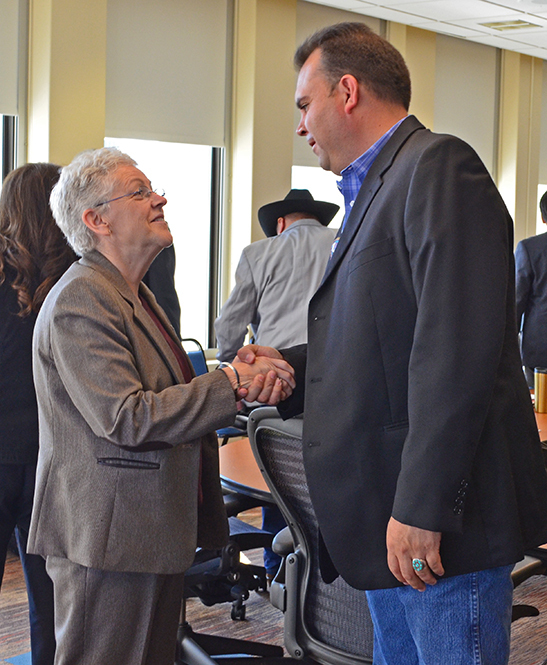 Tribal leaders discussed environmental priorities with EPA Administrator Gina McCarthy when she visited the CRITFC office in April. Commissioners Carlos Smith (Warm Springs) and N. Kathryn Brigham (Umatilla) stressed concerns about transport of fossil fuels through the Columbia River Gorge and the importance of rail safety, climate change policies, and strong regional water quality standards. McCarthy said that although the challenges have gotten more complex, EPA remains committed to clean water, air and land and to fulfilling its obligations to tribes. The loss of villages, homes and fishing access along the Columbia River made way for hydroelectric dams and other development. 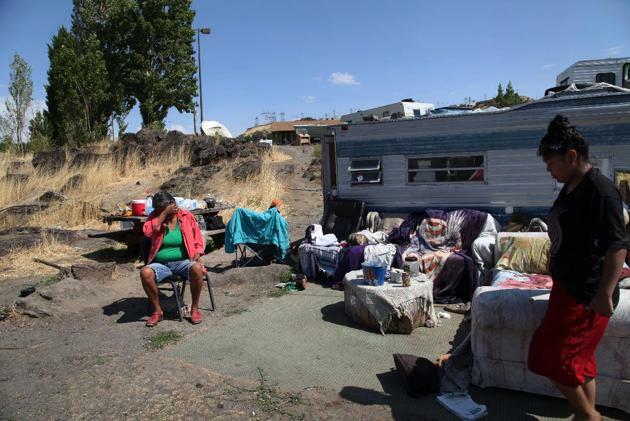 While new fishing access sites have been built, solutions for tribal housing have not yet been found. Last year, after many decades of denial, a Corps of Engineers report recognized the outstanding obligation to the tribes when homes and villages along the river were lost to dam construction. Meeting this year with members of the Oregon and Washington Congressional delegation and representatives of the Corps of Engineers, the tribes continue to press officials to address and fund this federal obligation. 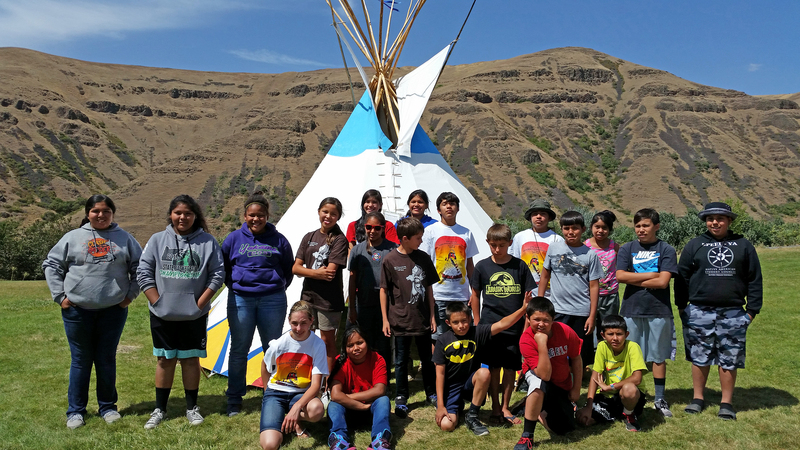 The fifth CRITFC Salmon Camp was held in July at Camp Whittman, Idaho, and hosted by the Nez Perce Tribe. Twenty campers spent five days having fun and learning. Highlights included touring the state-of-the-art Nez Perce Tribal Hatchery, root digging and First Foods preparations, a jet boat excursion through the culturally significant Hells Canyon, macroinvertebrate field studies, visiting with elders and storytelling around the campfire. The middle-schoolers, five from each member tribe, were introduced to career and educational opportunities in STEM (science, technology, engineering and math) fields and encouraged to starting thinking about and planning for college. Tribal Salmon Camp is part of CRITFC Workforce Development Program. 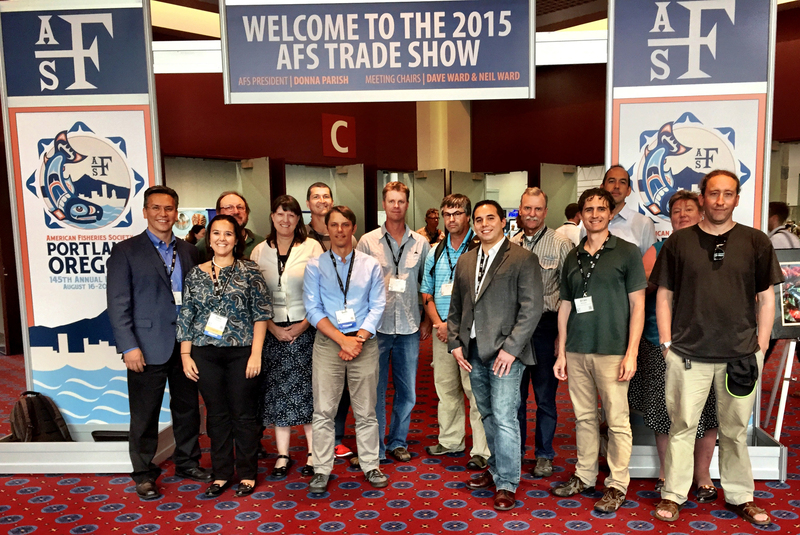 Held in Portland this year, the American Fisheries Society conference provided an opportunity for CRITFC to speak on tribal natural resources issues. During the four-day event, CRITFC and tribal staff gave 27 presentations, displayed 7 research posters, screened 2 documentaries, hosted a booth, and were an integral part of the conference’s development and operations. Yakama Nation leader Gerald Lewis provided the conference’s invocation. CRITFC Executive Director Paul Lumley gave the plenary session welcome address to the more than 3,500 fishery professionals from all over the world. The presentations highlighted tribal work in genetics, harvest management, fisheries research, sturgeon and lamprey biology, climate change, and many others. CRITFC, along with several other Columbia River basin tribes and First Nations, received the Society’s 2015 William E. Ricker Resource Conservation Award for leadership and work in creating a common vision for restoring ecosystem function and resiliency to the Columbia River Watershed. CRITFC and the tribes had great coverage in news and social media in 2015. Over 180 news stories and editorials included CRITFC, our tribes, and our messages. CRITFC’s website had 378,935 page views in 164 countries. With 6,678 likes, CRITFC’s Facebook posts were viewed 4,796,755 times. 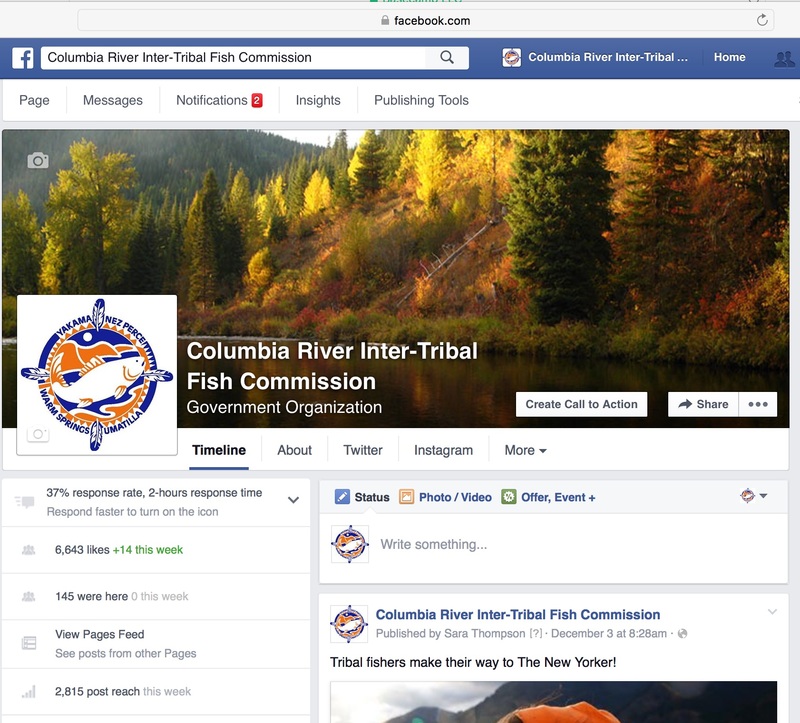 The Facebook page provides fishery information to tribal fishers, features tribal restoration projects, photos, and other American Indian topics of interest, and is a growing means for the general public to communicate with CRITFC. On Twitter, CRITFC has 774 followers who use it to interact with others who are keeping up with river restoration, climate science, and salmon news.